Composed and produced by James Edward Barker & Tim Despic. 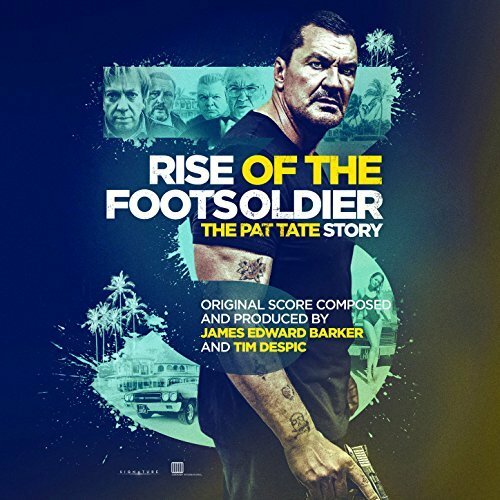 An all-out bare knuckle prequel to the hit Brit crime thriller Rise Of The Footsoldier, starring Craig Fairbrass and a Class A cast, in a brutal and bloody real life story of Essex, drugs and rock and roll. The rise of ruthless Essex gangster Pat Tate, who blazes a path from Marbella to the Medway in the late 80s, peddling pills and snorting coke and crushing anyone who gets in his way, in his quest for cash and power. Double-crossed by an ex-pat drug baron, Tate ends up in prison. Undeterred, he establishes himself as top dog inside, and gets himself in shape in preparation for his release – when he plans to reclaim his turf the only way he knows how – with violence, and no mercy. The movie soundtrack of Rise of the Footsoldier 3 will be released on November 3, 2017 by Filmtrax.